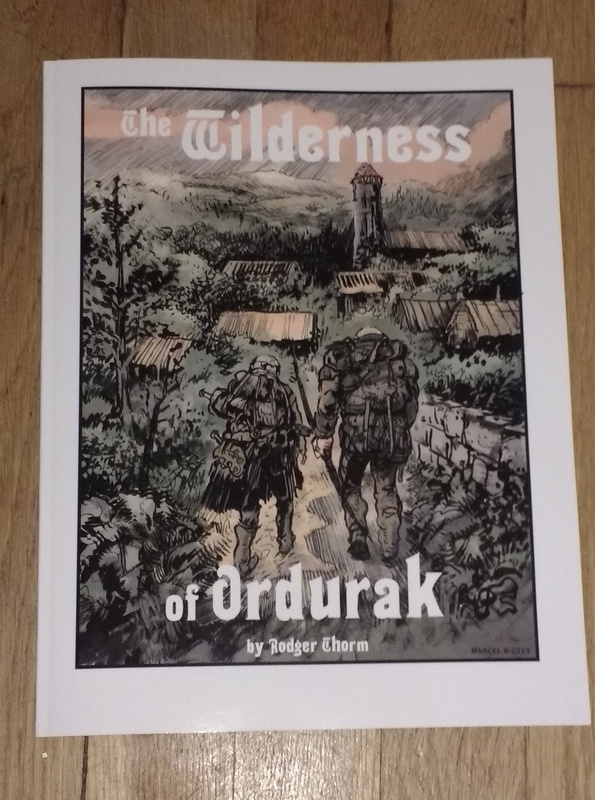 The Wilderness of Ordurak proof is completed, and copies of the set will be going out to the backers very soon. 57 pages, plus the ledger size map. Our next step will be to clean up The Water Works and Poor Brendan’s Almanac. Once those are revised, they will be available. The terms set up for the Wilderness give the people who backed it exclusive access to it for a while. If you’re interested in getting a copy of this, stay tuned later this year. The other thing that’s in the works is a Gazetteer for the regional map. That might be a separate thing on its own, with the map and an accompanying booklet of information about the features in the region, very much like Frontiers of Alusia. About a year ago, I posted a pair of maps for a military perspective and a plan view of the same space. It was an interesting complex of levels and stairs, but for some, it was a bit hard to read and figure out what was on what level. So I’ve colorized it to make the different levels easier to pick out. And the colors are mapped to both versions, so you can shift back and forth between them to get your bearings. As a game setting, I always imagined it beginning with the party entering from the stairs bottom center (L-15 on the plan). It seems like an interesting place for a running battle, chasing up and down stairs and fighting while trying to get from one part of the map to another. A couple of things seem not to have made it to the plan view. I won’t make you play Where’s Waldo though (unless you want to, in which case don’t look at the text below the plan image until you want to see). The blue ledge should be at about T-13, and the yellow table should be at about J-3. No guarantees there aren’t others, as well. But those are known. Let me know if you use this in a game. I’d be very interested in how you ran it, and how the players responded to it.